Hair dyeing history...from brown, dip dye, blue and purple hair! 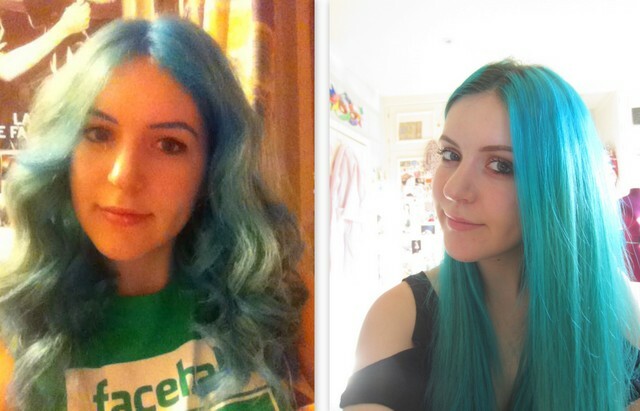 Thought I'd put together a post documenting my hair dye history over the years. I've dug into the archives to when I was around 16 and first starting dyeing my hair for this, so prepare from some cringey pictures! Quite a few of these may be already on my blog as I've been blogging since 2009! 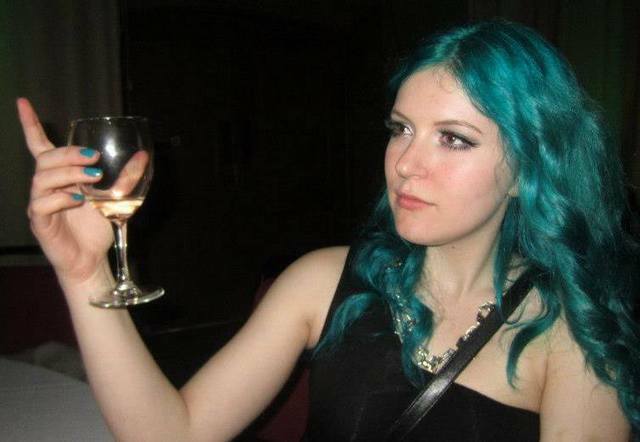 2009 - My natural hair colour, and then I dyed it a purple cherry colour. 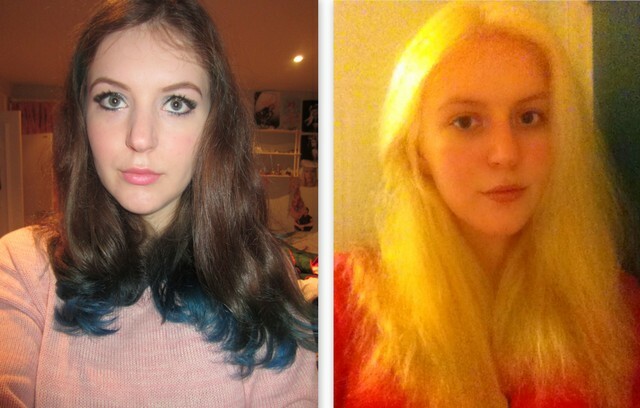 (L to R): 2010 - after my first adventures in hair dye I got the bug and dyed it an even darker brown, which was super patchy at the back. 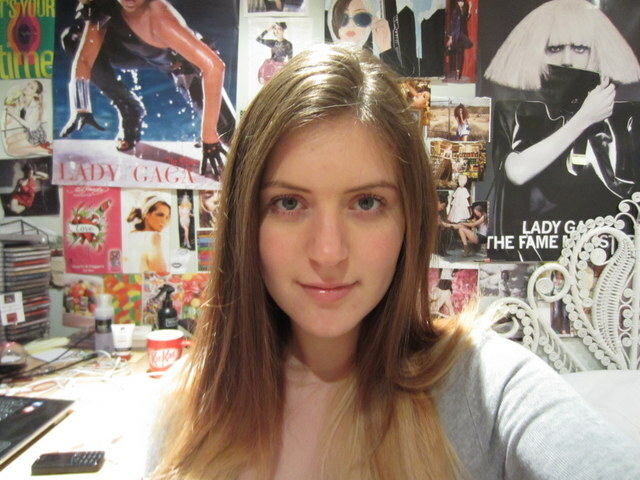 Then in 2011 when ombre started circulating on the blogosphere I bleached my ends, they look super ginger here with the camera flash but in reality it was hardly noticeable and not graduated at all! Still I thought I was really cool (17 year old Georgie, totes ahead of the hair trends). It was then pretty damaged from the bleaching so I had it all cut off (also check out my experimental lipliner). 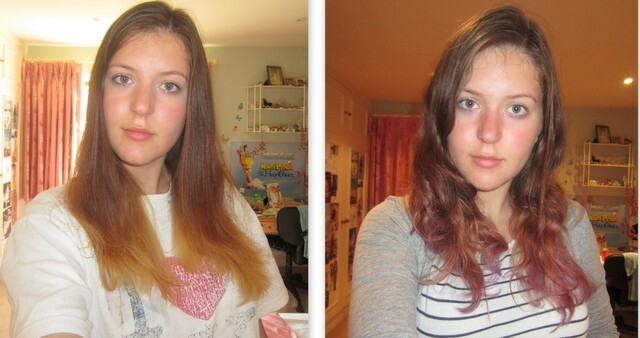 4 months later I decided to bleach the ends again to a nice ginger colour apparently, then put lilac over the top which of course didn't take well, as you can see on the right. This then faded and it looks like I managed to sort out the brasiness somehow. I then started experimenting with colour - yay! 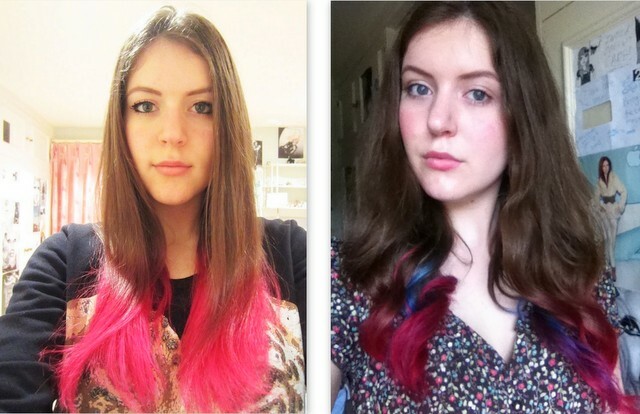 2012 I slapped pink on the ends and experimented with putting streaks of blue in there too. 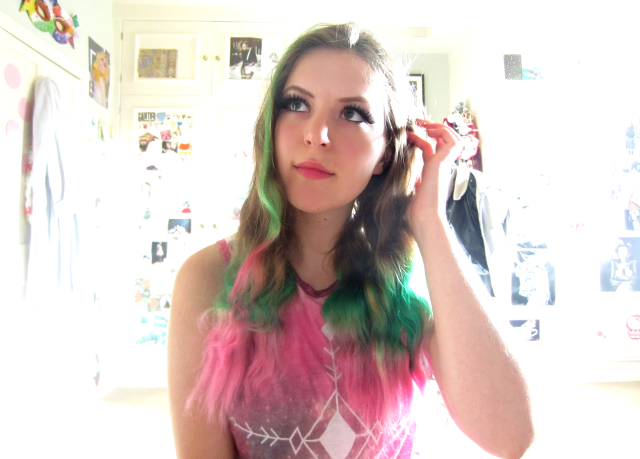 After it faded to blonde again I decided to put a full streak in my hair, and dye it and my ends apple green into pink. 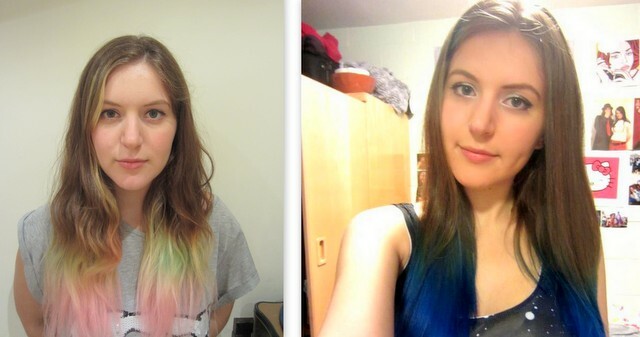 2012 -The green and pink faded and I redyed it for a while as a started uni, then dyed my ends atlantic blue. Then I dyed it a sort of pastel blue, then mixed turquoise and coral blue for ages to get this turquoise colour which I kept for 9 months. 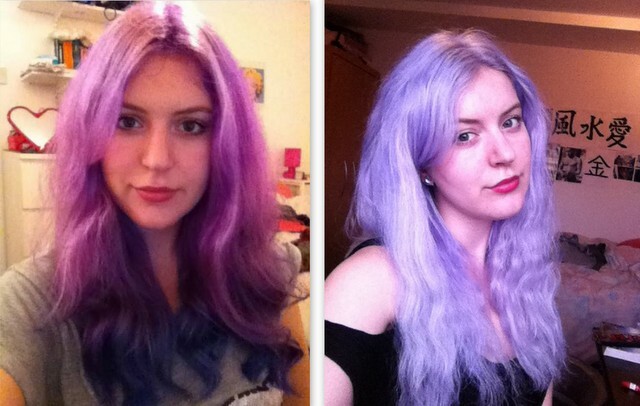 Then September 2013 I bleached my head again and dyed my hair purple into blue at the ends. I never put the blue back in after it faded and I've kept it a mid purple/bright lilac colour ever since. I think this is my favourite colour on me. Looking back I think the turquoise washed me out quite a bit and made me look even paler. I think the only two colours I won't go are blonde and pink all over, as I'm pale but with pink/red undertones to my skin and a ruddy complexion, so I think it would make me look a bit odd. ooh i love the lilac hair! wow you really suit the lilic, I wish I was as brave as you to try colour ha ha! Really great post! Love it. 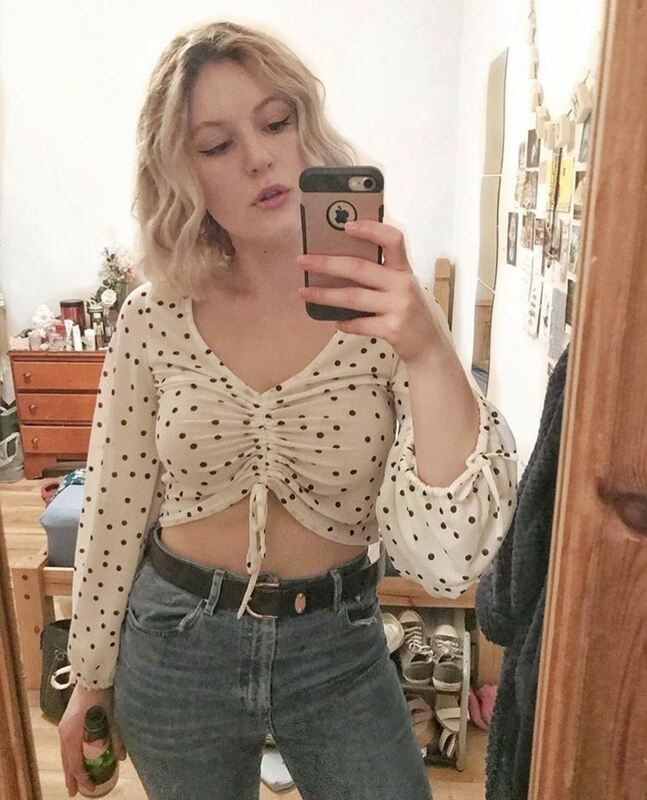 Really want to try some fun colours on my hair! I love seeing posts about people's hair journeys!! Most people's are so interesting with all the different colours they've experimented with but seriously if I did one it would be brown - brown - brown - a couple of highlights - back to brown - brown - brown. I'm so boring with my hair!! I love your hair colour now, it suits you so much, although I must admit I quite like it when the green and pink have faded, it looks all pastely and pretty.